Dreaming of an apron can suggest many things. Aprons are often associated with work, labor, and tasks ahead. If you are wearing an apron, it could mean you feel you have duties and responsibilities to fulfill. What Does it Mean to See an Apron in Your Dream? Aprons are typically associated with work and the different tasks you may need to do in life. You might wear an apron while working in the kitchen or while you are working in the garden. 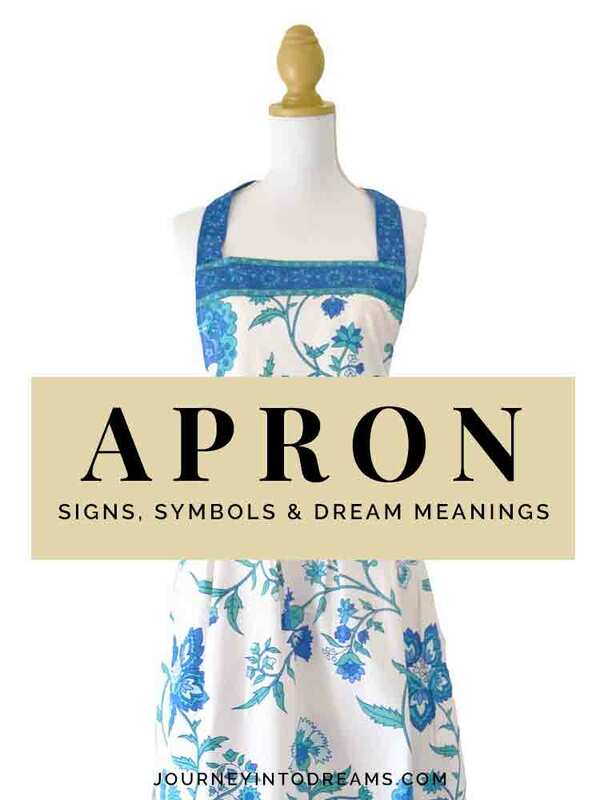 Often times, when we dream of an apron, it is in association with other dream symbols. For example, if you are wearing an apron while working in the kitchen, it may be helpful for you to understand the symbolism of rooms in a house in your dreams. Apron strings or ribbons may mean you are feeling detached or far away from the work and be a symbol of your lack of desire to do the work which must be done. Another possibility is that it may relate to your role in a family situation. It could be something you associate with a mother like or grandmotherly figure, and so the apron may remind you of this in your life. You may feel like you have the role of being a mother like figure to someone else. To see someone else wearing an apron may suggest that they have motherly control and influence over your life. You may also feel as if you are a servant to someone, or that you are being controlled by a greater force than yourself if wearing an apron. It may be time to examine your ability to work without others. Since an apron is an article of clothing, it may also be a sign of how you appear to others. Do you want to appear as someone who is hard working and persistent? Wearing an apron in a dream may be a sign that you are trying to prove your value and ability to someone, especially if related to work or career. Did you have a dream where an apron was a focal part of the dream? Share your thoughts in the comment section below!